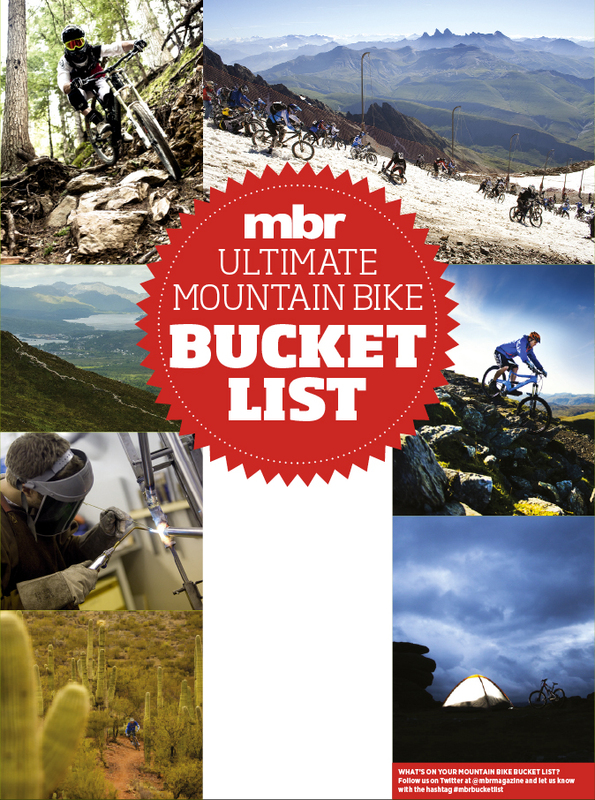 What's on your MTB bucket list? Swimming with dolphins; skydiving; seeing the northern lights; all of these are popular bucket list clichés. All are possible to tick off by going online and booking with a reputable experience provider – provided you’ve got the disposable income. And herein lies the problem with bucket lists as they are popularly known; while it’s all well and good to follow the herd and tick off those things that are regularly recommended by mates who’ve done them, or know-it-all mountain bike journalists, many of the experiences that you will genuinely take to the grave sneak up unexpectedly. It might be the day you find yourself at the top of a mountain with a perfect sunset chasing you down miles of dusty singletrack back to the car. Or it could be an impromptu mates race, held in the dark, on trails you’ve never ridden before, that finishes with a lock-in down the local. Mountain biking is full of memorable moments; some can be planned, others just fall into place. Personally, I’ve got my eye on a multi-day alpine adventure in 2013. The idea of hopping on a ski lift, then pedalling up to a remote trail and descending into a secret valley to be welcomed by a mountain restaurant and gorging on some local speciality – guaranteed to involve cheese and ham – and spending the night in some refuge appeals hugely. Getting to repeat this scenario over and over again over the course of three or four days sounds like heaven. Taking this a step further, participating in one of the increasingly popular enduro stage races, such as the Trans Provence or Trans Savoie, and competing against a group of other passionate mountain bikers, could be even better. So that’s top of my bucket list for 2013, but what about you? Let us know by tweeting us @mbrmagazine with the hash tag #mbrbucketlist. And to find out more about what’s in March’s issue, click here.